"Where is Tryon Horse Country?" Geographically, it is nestled in the Carolina Foothills, in the southern Appalachains. It includes the towns of Tryon, Columbus, Mill Spring and Saluda north of the Carolina line and Landrum, Campobello, Gowansville south of the Carolina line. More than that, Tryon Horse Country is a state of mind. It's foxhunters and hounds early on a fall morning crossing a misty meadow, it's a carriage trotting down River Road, it's a bustling horse show on almost every weekend at Harmon Field or FENCE, it's a meandering trail through dogwoods on the many trail systems or it's a steady stream of trailers, large and small coming and going. It's our history, starting with Carter Brown, an innkeeper from Michigan who thought Tryon was a good place for horses and horse lovers. Looking for Exquisite Equestrian Properties? 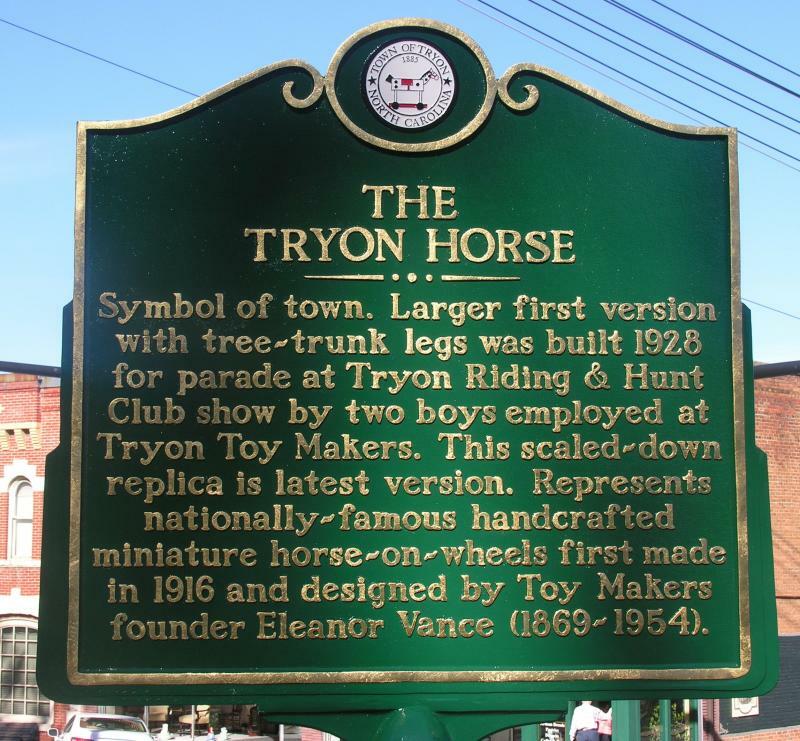 Morris, Tryon Horse Country mascot, recently was awarded a historical marker, commemorating the wooden guy's place in local history. The fire hydrants painted like huntsmen, got a new coat of paint recently. 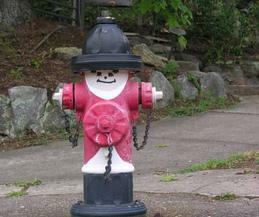 The Happy Huntsman hydrants are one of the charming horsey accents in downtown Tryon. Proud host of the 2018 World Equestrian Games at Tryon International Equestrian Center, the country's premier destination for high caliber horse sport.